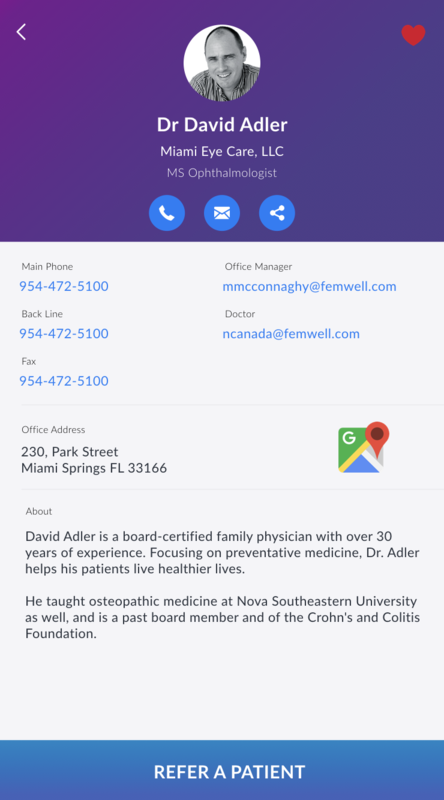 Femwell Group Health is Florida’s leading management services organisation (MSO) providing cost-effective business solutions so physicians can efficiently and profitably run their practices. 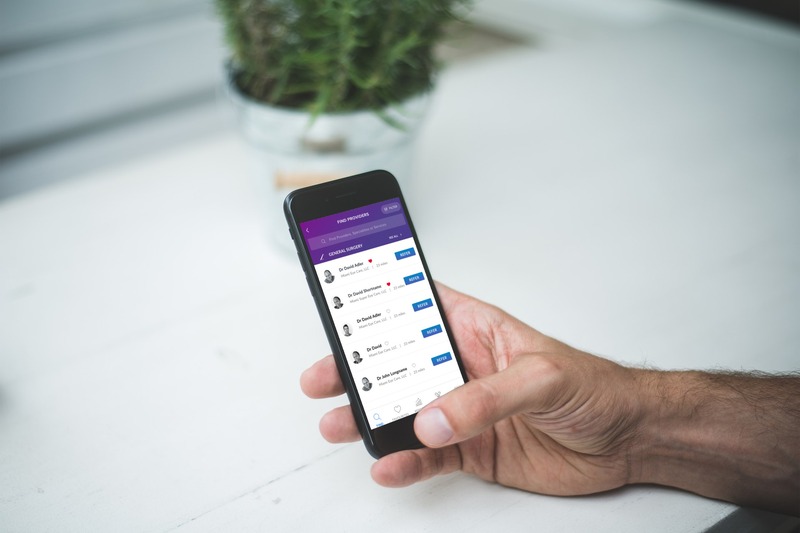 Femwell wanted to revamp & modernise their doctor facing app : Femwell+. 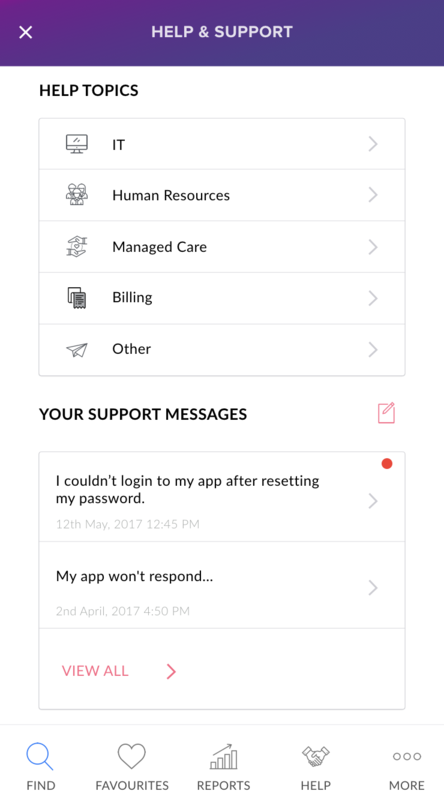 It allows doctors to make and view referrals, view financial information, learn about discounts they can get, amongst other things. 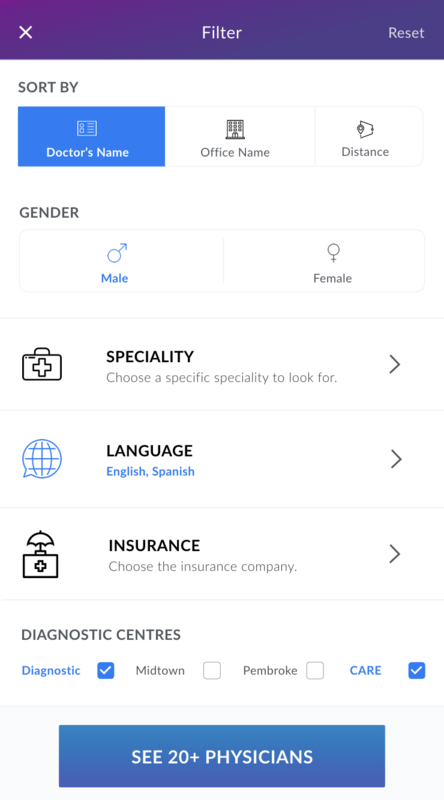 In our discovery process, we found that the no#1 goal of the app was to enable doctors to refer their patients to the right specialist doctors. We also realised finding a doctor was hidden under too many layers; it wasn't intuitive enough. We brainstormed about the high-level details. 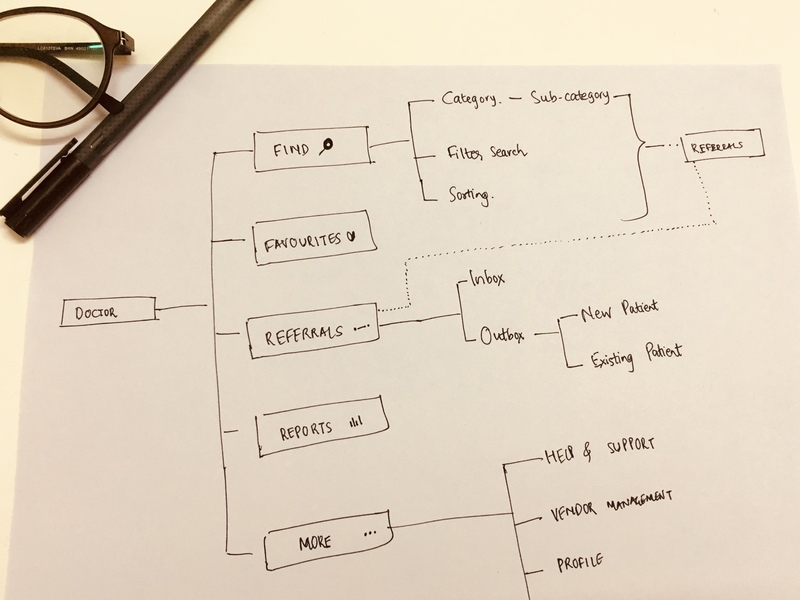 We divided all the parts into sections that could translate into the structure of the app and would make sense to the user. 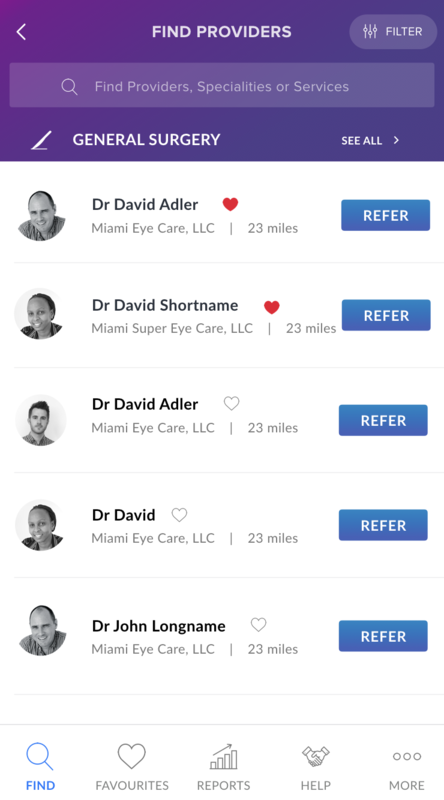 Ultimately we designed the app into five sections—find doctors, favourites, reports, referrals and menu. 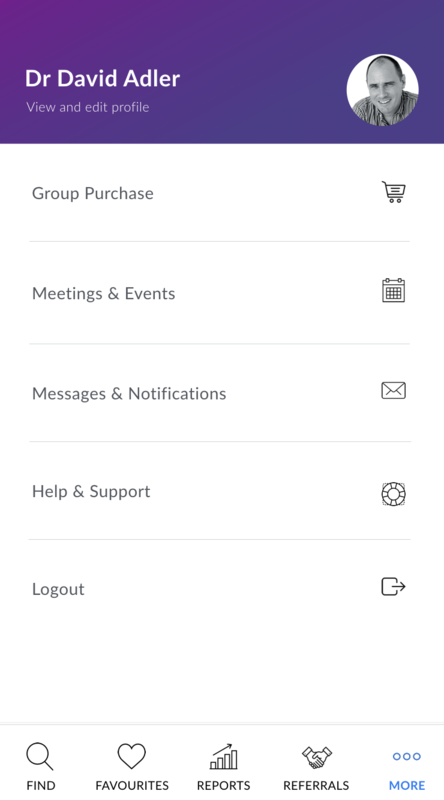 This made sure that the most important jobs the users hire the app for are easily available in the bottom bar itself. Brand new look meant cleaning up and setting the latest standards for the app. Minimal nature, gentle gradients and clean, modern fonts. The old reports lacked style. 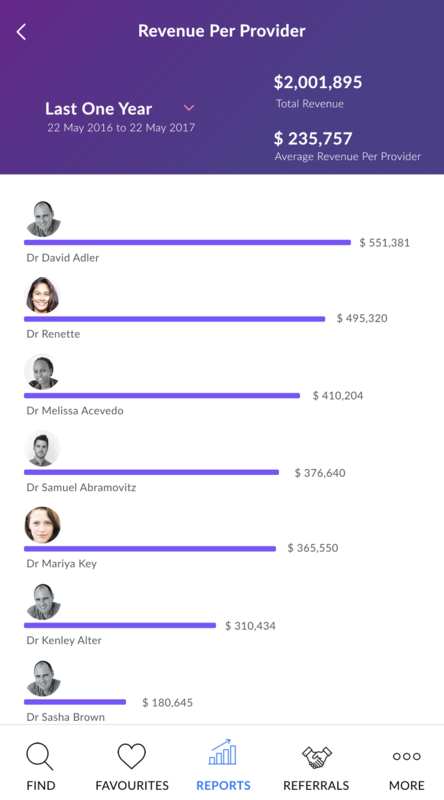 They looked difficult to make sense.​So I worked on creating the new reports that were clean, captured the essence, and presented in a beautiful interface. "Some testimonial from Femwell goes here. 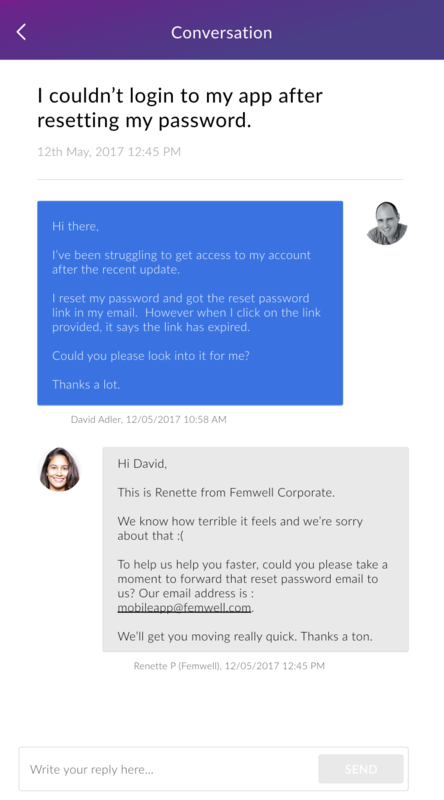 Some testimonial from Femwell goes here.Some testimonial from Femwell goes here.Some testimonial from Femwell goes here." 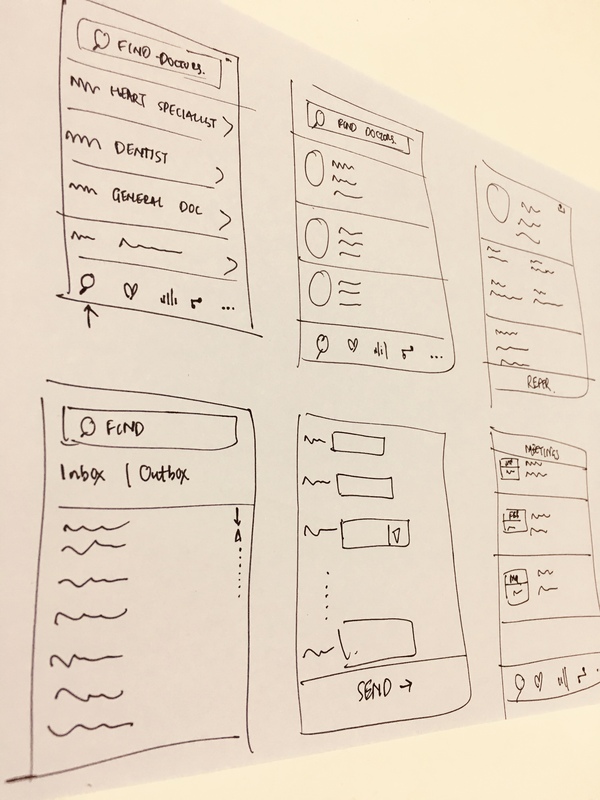 We can help you redefine your user experience.